The hall is a demanding room – a home’s showcase. What to do to make it practical and elegant at the same time? Wiser collection, Ceramika Paradyż. 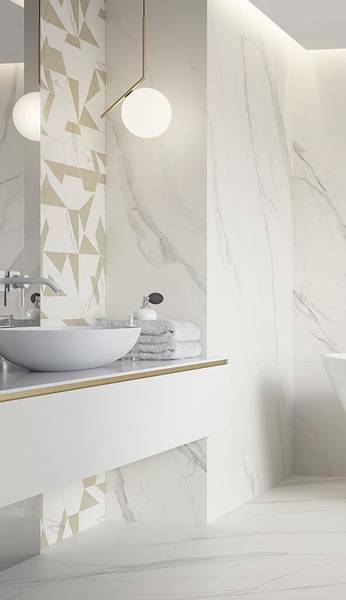 However, to be able to enjoy such a practical floor in the hall for years, buy smart by selecting the appropriate tiles. It will pay off in the future. Especially in single-family houses, where in autumn and winter you enter the hall directly with wet or snow-covered shoes. In apartment blocks, the situation is a bit different because some of the dirt and water from shoes is already left on the staircase. 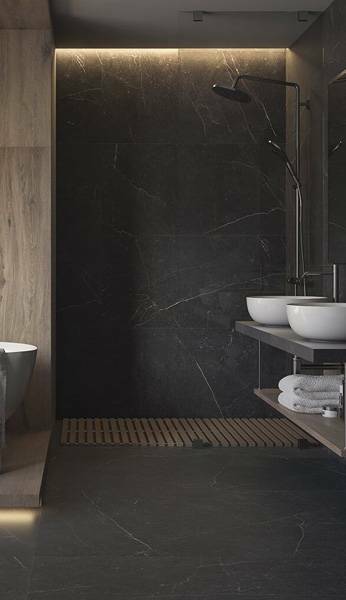 The variety of designs on the tile market will allow you to arrange the hall in any style, ensuring the resistance to dirt and abrasion. Como collection, Ceramika Paradyż. When choosing your dream tiles for living room or hall, you should pay close attention to some very important factors. Purpose – be sure to pay attention whether the tiles you buy are meant to be laid on the floor. The manufacturer always gives this information, usually in the form of a pictogram or other easily identifiable symbol on the box or in the catalogue. Thanks to this you can be sure that the tiles will have the right durability and resistance to dirt and abrasion. Abrasion resistance – PEI, that is the tiles’ resistance to abrasion, is an important parameter. 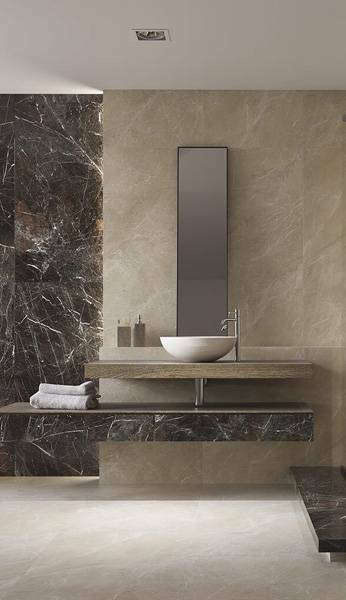 It is the number of revolutions, which is a measure of the resistance of glazed tiles’ surface to abrasion. The higher the PEI, the more resistant are the tiles. Class 4 or 5 class is recommended for hall, which is a high traffic area with an increased exposure to dirt. 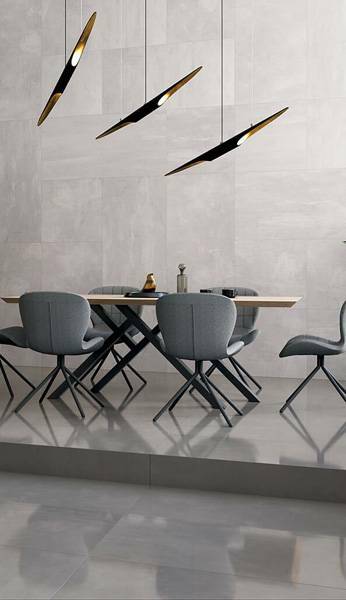 The Volpe glazed gres has a high abrasion resistance class – PEI 5. The R9 anti-slip properties make it a safe flooring for a hall. Volpe collection, Kwadro Ceramika. Frost resistance– it is an important parameter to be taken into consideration when choosing the tiles for the hall, contrary to what one might expect. Even though they do not lie directly outside. The frost resistance parameter is related to the water absorbability of ceramic tiles, and therefore the penetration of water molecules into their structure. It is definitely safer than to choose frost resistant tiles, that will not be affected by low temperatures, humidity or direct contact with water. Anti-slip properties– ceramic tiles for hall should be slip resistant. The symbols R9-R13 are used to indicate these properties. The higher the R parameter, the better the slip resistance of tiles. Laying the same floor in the hall and in the living room allows you to visually enlarge the space, so it is a good idea for small apartments. Orione tile collection, Kwadro Ceramika. Rectification– it is advisable to buy rectified tiles for the hall, the edges of which are cut at a right angle, and therefore they can be laid with minimal joints (you can read more about rectified tiles here). This, in turn, makes it easier to keep the tiles clean because less dirt collects in narrow joints. Mouldings– a practical solution is to finish the walls with mouldings of the same collection just above the floor. In such a heavily-exploited place as the lobby, the ceramic mouldings work very well. Making it easier to wash the floor without worrying about leaving wet traces on a wooden moulding or on a painted wall. You can cut a practical moulding from the floor tiles or buy it in form of a ready-made milled part. Surazo collection, Ceramika Paradyż. For practical reasons, tiles in bright colour tones are recommended for the hall. On such tiles, dirt, traces of water or sand are less visible. It is a matter of taste, though, and as long as the tiles are characterised by most of the aforementioned parameters, they will be suitable for the hall whatever the colour scheme. More inspirations regarding laying tiles in a hall and hallway can be found at www.paradyz.com. For the newest information on trends, as well as the practical tips, visit our blog regularly.